The camera was fastened to a small rotating sprinkler timer. Cool timelapse. Where’d you get the sprinkler timer if you don’t mind me asking? 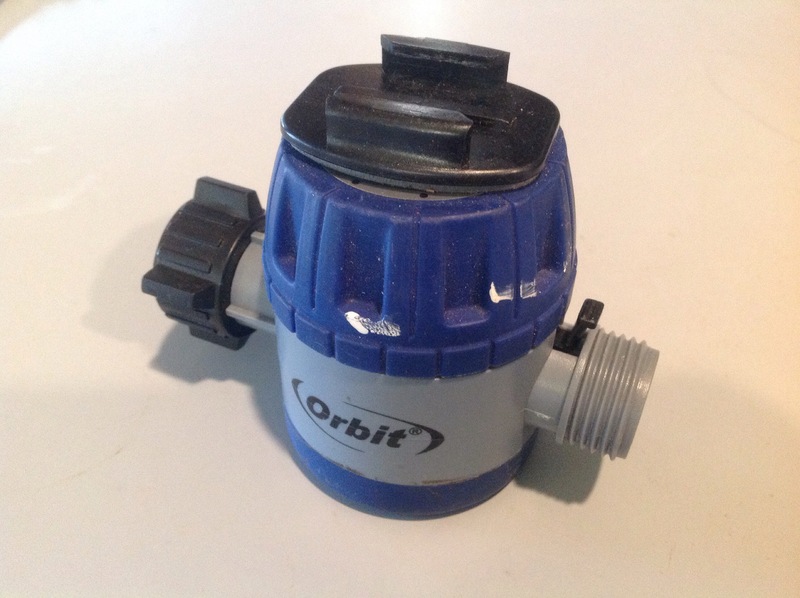 Sprinkler timer is an “Orbit” brand from Lowes (photo inserted below video in post). I stuck a Gopro adhesive mount to the top. Also, that video was one of my first timelapse attempts. I like them much better when conformed to 16:9 format during rendering. You can do it all on an iPad using the Frame Lab app. Here are 2 others conformed to 16:9. Thanks for the info. I like those time-lapses. Why does the saturation change in the first one? Is that the GoPro changing the white balance because of the intermittent cloud cover? Here’s my first attempt at producing a time-lapse. Yep. That one is shot on Hero 2 and the camera is auto-exposing based on shadow changes. It over exposes sky to compensate for shaded ground. Cool fly time lapse on your link.